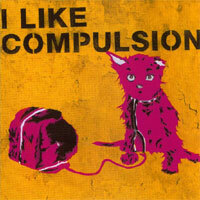 "I saw Compusion play a gig in the Temple Bar Music Centre in Dublin on September 7th, 1996. The venue is on the small side which was brilliant. All bands should play venues like this every now and again. There were four bands on before Compulsion, and very little happened while they were on stage, bit when Joseph Mary (vocals), Garret Lee (guitar, vocals), Sid Rainey (bass) and Jan-Willem Alkema (drums) came out, the place errupted! Despite the best efforts of fifty or so fans in the mosh pit, throwing people ten feet into the air and generally going bezerk in order to get attention, the band rarely (if ever) made eye contact. I can't say for certain what songs were played because I only heard their music for the first time about a week or two before the gig." And Sid from the band has mailed me! Garret is doing what he does best, MUSIC, he is steadily rising towards film scores. Jan is working and living in Brighton, Joey is in Dublin and I'm still in London working full time as a comedy writer etc"
Edmund (FBP) July 2002 - This compilation is now out! It's called "I Like Compulsion" and it's on One Little Indian! Check out the discography for a tracklist, but the catalogue number is TPLP850CD! I hope the DVD comes out soon! That'd be great!